This year’s cohort of Co-op sponsored London beekeepers – as part of the company’s Plan Bee campaign – are at their early stages of hands on beekeeping. 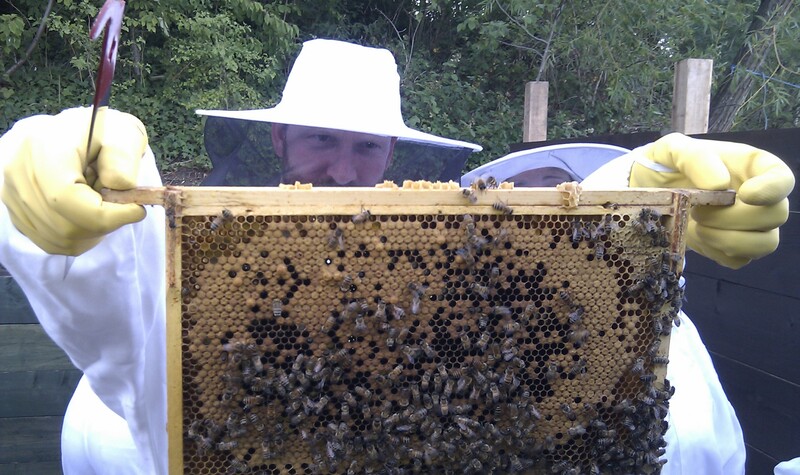 The nucs arrived 2 weeks ago and the group are getting to grips with handling the frames and the bees. Our Tuesday night session was all about finding those elusive eggs and young larvae. Having a torch really helps to see in the dark honeycomb. This entry was posted in All blogs, COOP 2011 on June 16, 2011 by Brian.